L3 Clinical Trials CRO, a division of L3 Healthcare, is a comprehensive Clinical Research Organization (CRO) providing global clinical trial resources and services. We are focused on assisting our clients in generating quality safety and efficacy data to advance in vitro diagnostic (IVD) and medical device technologies. L3 Clinical Trials CRO was formed as an alternative for sponsors to efficiently and cost effectively generate study data for regulatory review, and to fill an identified gap in the novel technology clinical trial design process, which can be narrowly focused and limited to regulatory and product-based study objectives. Our goal is to have an upstream impact on the budgeting process for all trials, and to improve clinical trial designs for novel technologies by capturing study data that increases product value, speeds acceptance in the market and changes standard of care. Our trials are designed with an eye on clinical challenges and market requirements, not just regulatory hurdles, and we infuse a keen understanding of market factors, competitive intel, clinical drivers and stakeholder needs gained from years of experience in medical device and IVD markets. Our efficient and cost-effective CRO model also uniquely positions L3 Clinical Trials CRO to provide premium services that can streamline and support an entire clinical trial program, from study concept to data analysis, at highly competitive industry rates. 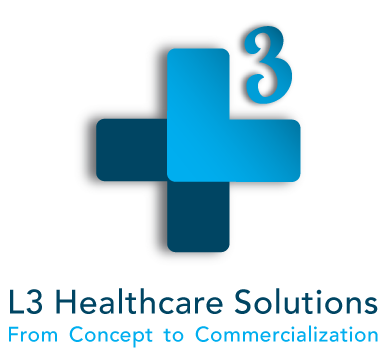 L3 is a certified iMedNet™ EDC software designer. To learn more about our transformative FDA and ICH compliant trial design and execution, please contact us. Why work with L3 Clinical Trials CRO?